Timeless and classic! Has the blue and white struck you too? 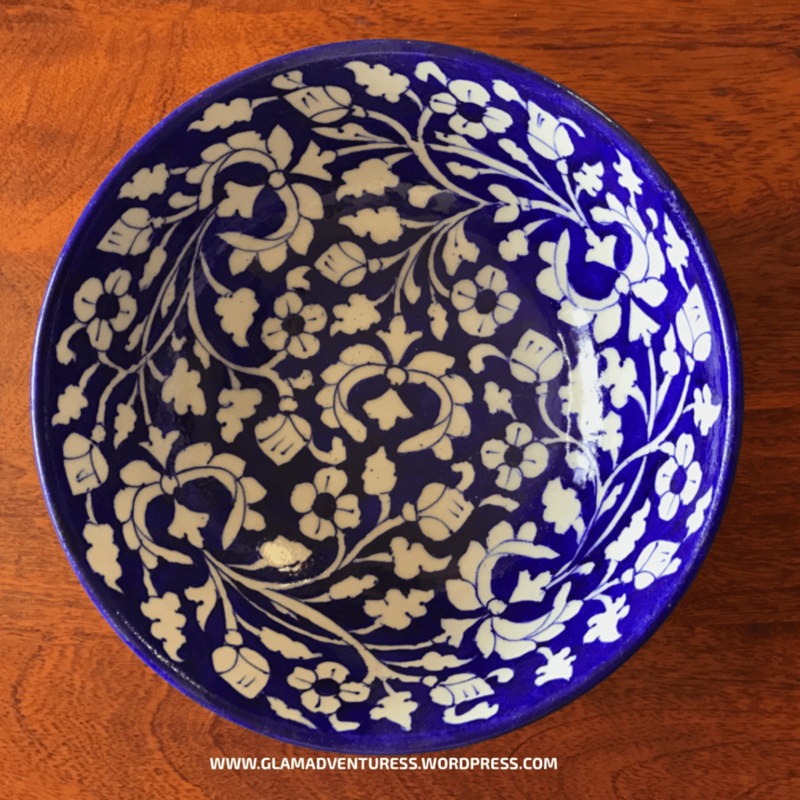 Take a look at blue and white at its best and you’re going to love it!For a long time I’ve lusted after the blue pottery and my this desire was fulfilled on my recent road trip to the Pink City- Jaipur. We were driving down with our furry baby Jason and took a halt in this beautiful city which is hands down a treasure trove for shoppers. 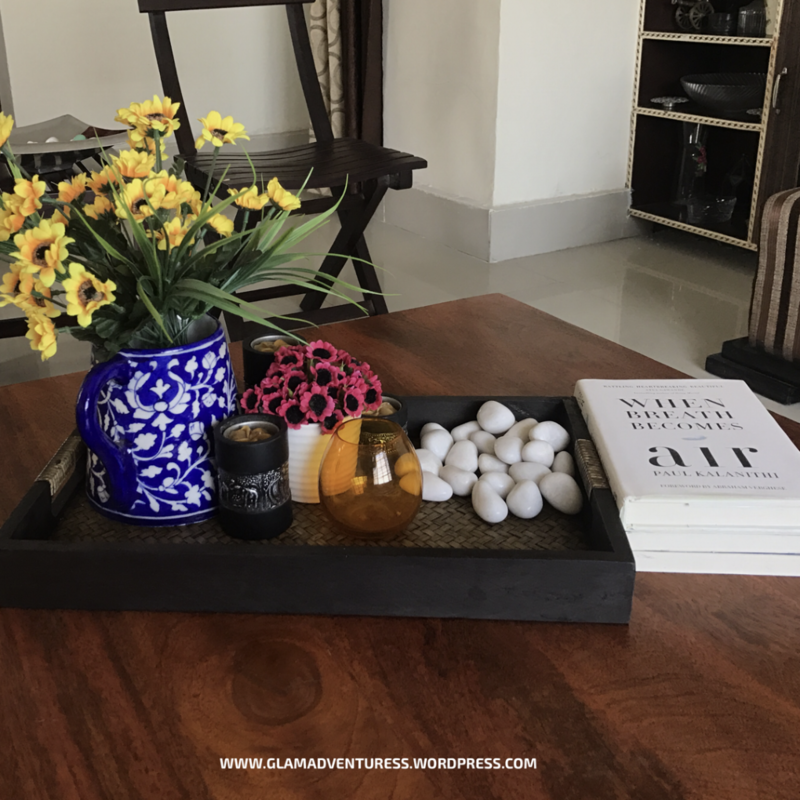 I shopped some cool and classic pieces of this amazing pottery which indeed added a fine taste to my home decor. If you’re planning a trip to Jaipur then you must put this on your wish list and you’ll most likely thank me later. Jaipur attracts the tourists for its colourful vibe and has an irresistible charm on domestic as well as international travellers. Apart from the gorgeous lamps, distinctive fabrics, amusing puppets and other things that any visitor would like to carry along as a souvenir is the famous Blue Pottery which is not only an iconic but also the most coveted art form of India. It is basically a Turko-Persian art which was introduced in the land of Rajasthan by Maharaja Sawai Ram Singh II in the 19th century. It is called blue pottery because of the natural indigo dye which is used to colour the pottery. It is mainly blue and white, the dough is prepared by mixing quartz, fuller’s earth(multani mitti), stone powder, powdered glass, borax, gum and water. 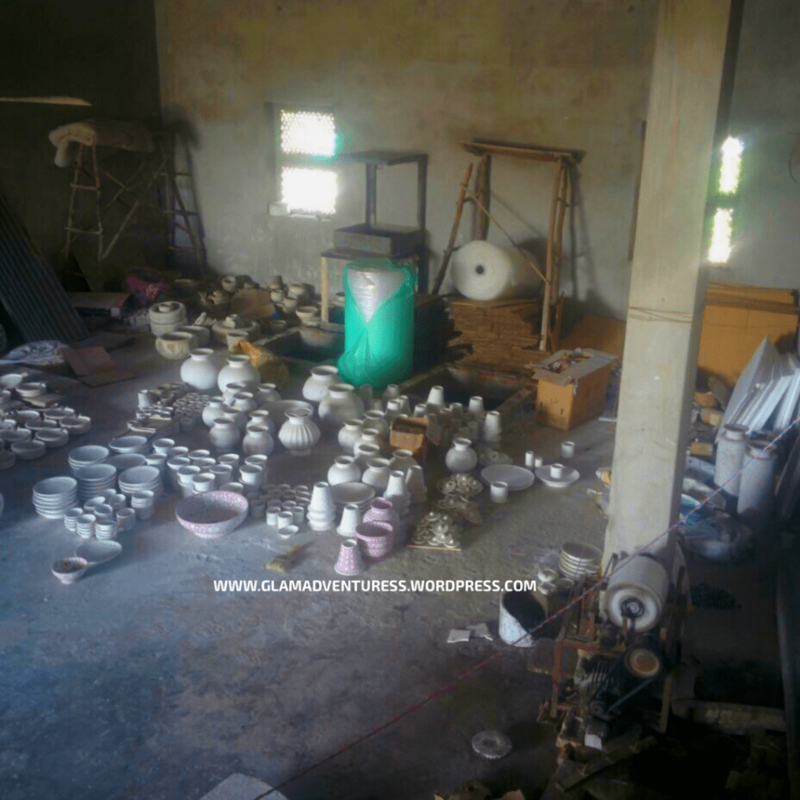 You’d be surprised to know that this pottery doesn’t use any clay! It is glazed and low fired only once and that’s the reason it’s very fragile and brittle. There aren’t any replicas as each piece is uniquely done and is an masterpiece in itself, therefore, making it pricey due to its specific hand decorating process. It beautifully depicts the motifs of birds and animals. 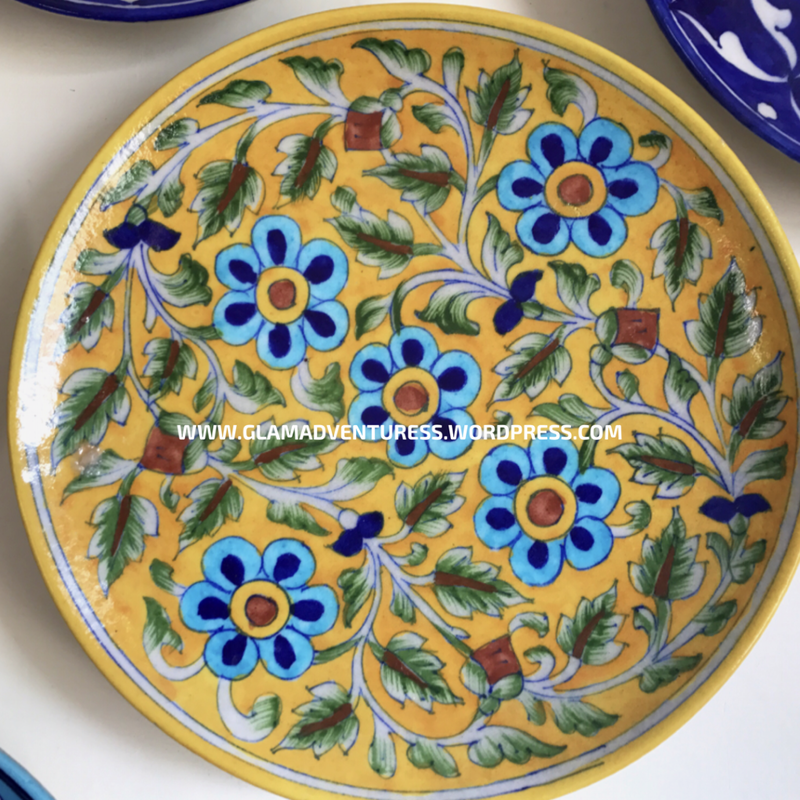 The Blue Pottery comprises of vases, decorative plates, door knobs, planters, pots, small bowls for trinkets, jars, soap dishes, ash trays and tiles. And all these pretty pieces echo a glorious ancient tale. 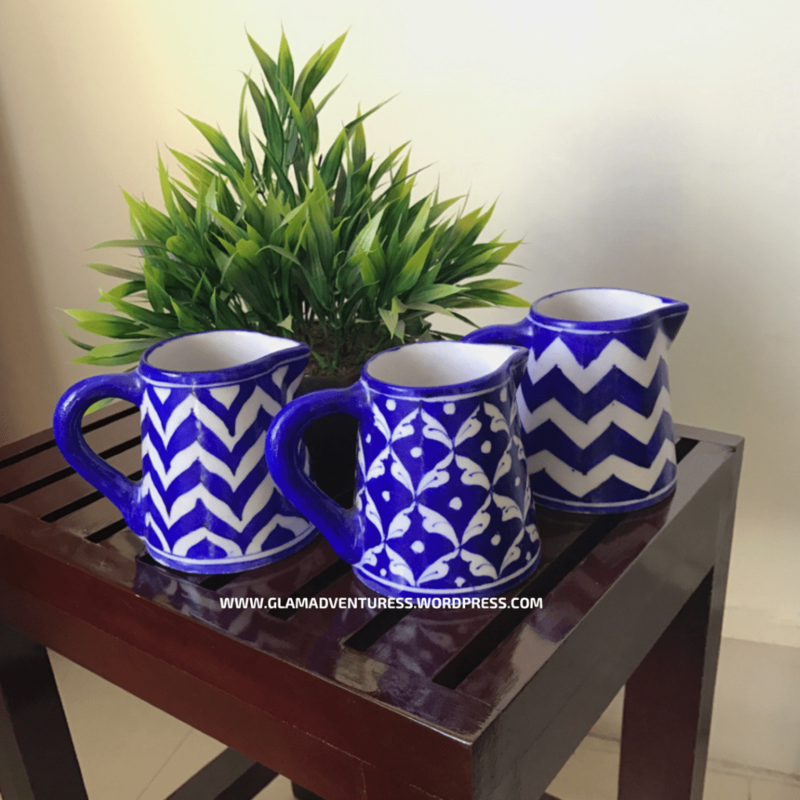 How to decorate your house with blue pottery? There’s no denying the fact that Blue pottery brings timeless beauty to decor and can brighten up any corner. The crisp, clean and gorgeous set up can draw anyone and everyone towards it. Add a sophisticated air to the setting of your abode. 1. You may put the planters or pots on the patio. 2. The centre table can be beautified with the mix of different jars. 3. Kitchen can be given a classy makeover by placing ginger jars and cute pots. 4. How about putting blue pottery soap dishes and dispensers in the washroom, you may also add the blue tiles to give it an opulent look. 5. 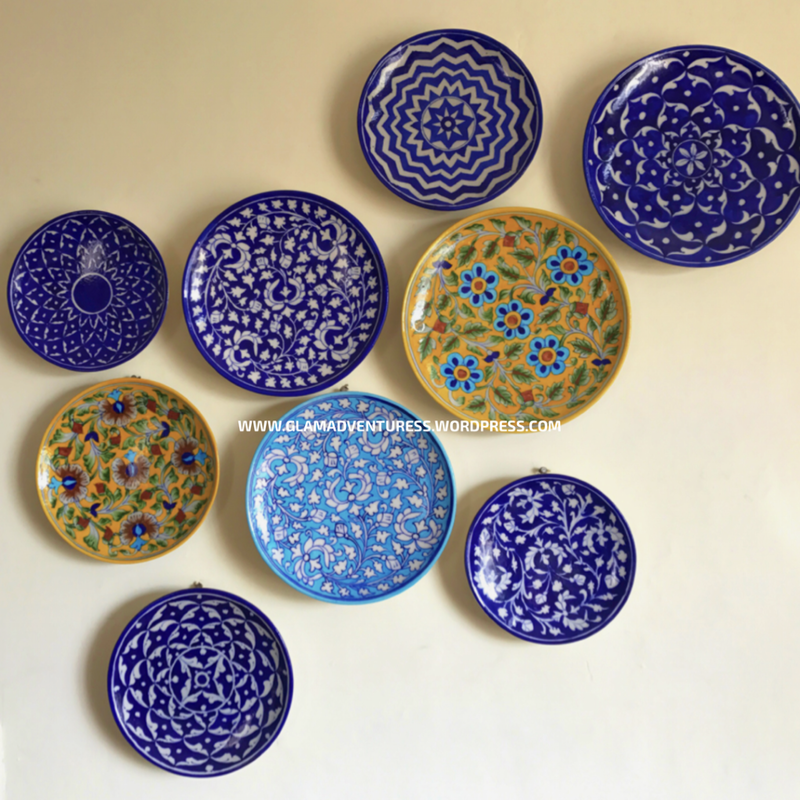 The dining table can be given a totally different feel with the exquisite pieces of blue pottery. 6. Give the walls of your living room an instant face lift with the designer hanging plates. 7. You may blend the blue pottery with the woody tones with the pop of cobalt! Put together the jars and pots of different shapes and sizes as a beautiful vignette. 8. 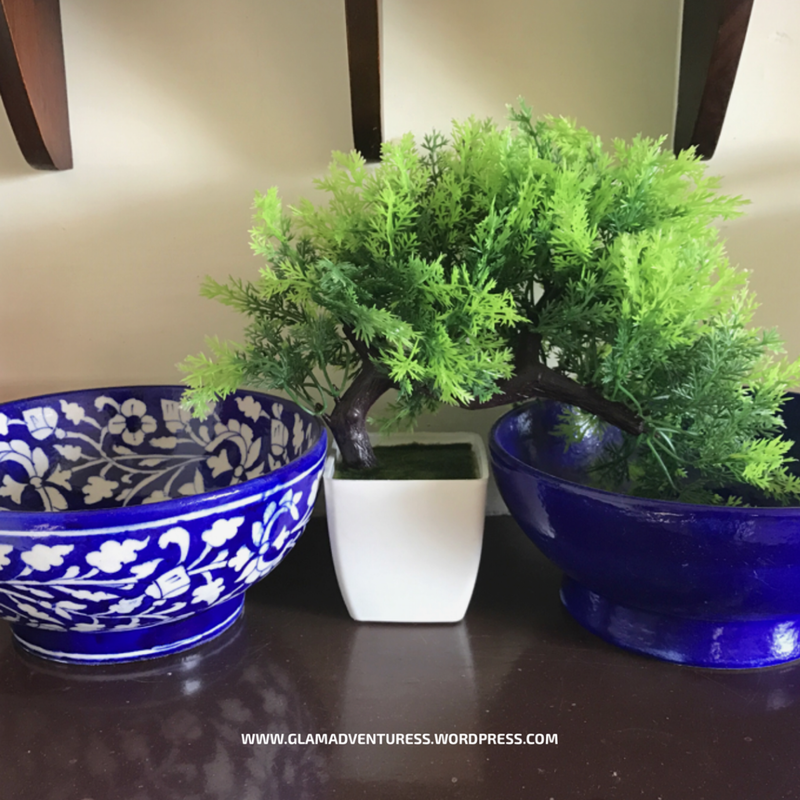 I love how the blue pottery gives a dramatic definition to any corner of the house. So just a little mix of these beauties and wow you’ve made your house so elegantly sophisticated. With these tips, I’m sure your guests won’t be able to take their eyes off from the sophisticated decor of your house and would be absolutely smitten by your aesthetic sensibilities. I went to many places but wasn’t really satisfied due to the sky rocket prices. But how could I’ve just let it go? So after a lot of hunting I finally found Shiv Kripa Blue Pottery, Asind Nagar, Sanganer, Jaipur, Rajasthan. The place is not very easily reachable so I’d suggest you to first check the route on google maps. I literally had to scout for this factory outlet but I must say all my efforts were worth it. I was elated to find what I was looking for and that too at a reasonable price. Also it was a treat to watch and interact with the artisans. Although the shop is somewhat small and have limited designs but you can get anything made if you’ve time. Moreover, the orders can be placed and can be delivered at your door step. Have you visited Jaipur? Did you buy Blue Pottery? Do share your experience in the comments section. These pieces look so chic and unique. Can’t wait to visit India, so I can renovate my entire apartment. 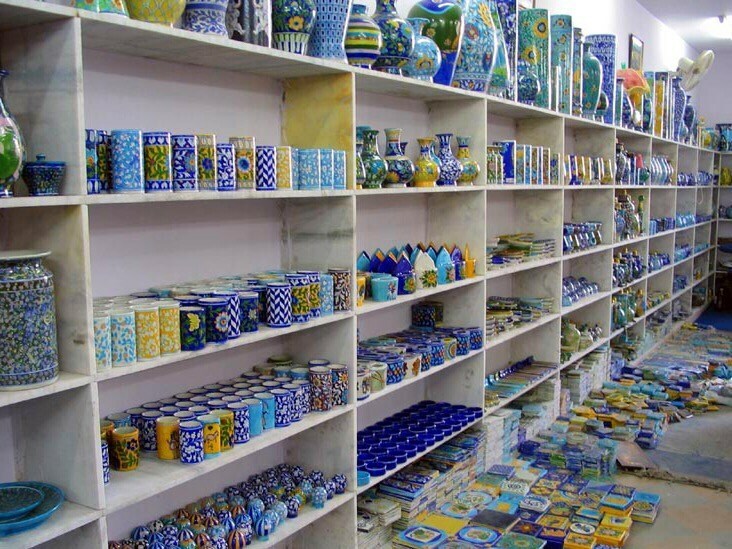 I have not visited Jaipur or purchased any Blue Pottery but it looks like I’ve been missing out. Such beautiful pottery, would look beautiful in any home and would be a great talking piece as well.